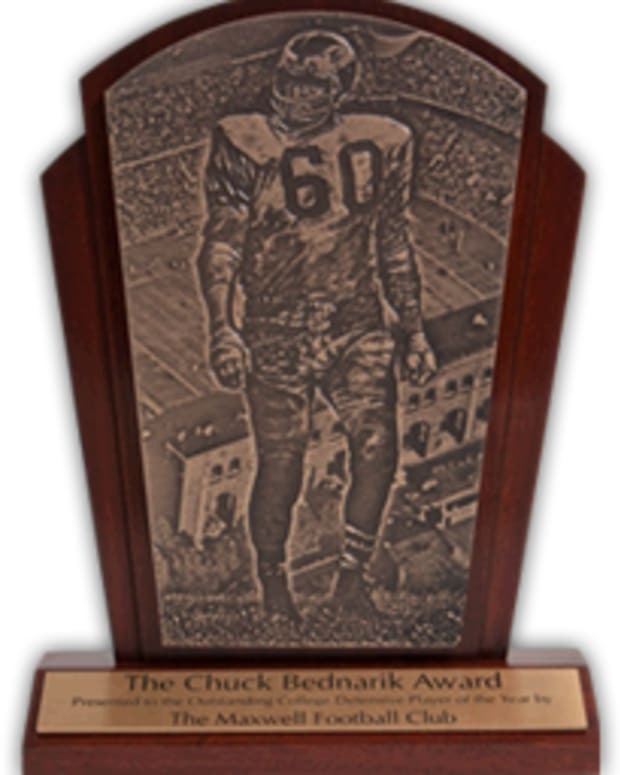 The Maxwell Football Club announced its semi-finalists for the Bednarik Award Monday, which you can view HERE. Here’s where college writers Danny Hobrock and Dory LeBlanc stand. Te’o re-aggravated an ankle injury in the win over Wake Forest on Saturday. His head coach told reporters on Sunday that “he’s back to where he was 2-3 weeks ago.” The ankle injury has affected Te’o somewhat this year, but he continues to rack up big numbers. He reportedly told his defensive coordinator a couple of weeks ago that he was no longer going to try to be somebody he’s not. He leads by quiet example; he’s not the “rah-rah kind of guy” by his own admission. I still say he’s the heart of that defense, though.